Good reviews are very useful for marketing today. While a positive review takes a good product and a good service, simply having a strong offering doesn’t guarantee any reviews. After you have a good service and products, make leaving a review as easy as possible, then you need to ask your customers to leave them. Once you’ve generated positive reviews, you can present them to potential customers and increase your conversions thanks to the concept of social proof. What are the benefits of positive customer reviews? Positive reviews contribute to a better ecommerce conversion rate. Some customers visit a site and are unsure whether they really want to make a purchase. If the retailer can develop positive reviews, then present those reviews to customers at an influential stage in the buying process, the retailer will likely see an increase in conversions. Consider if you were thinking of buying a pair of socks from brand X. You do a search and find pair available on a site without any customer reviews. There’s another pair available on a site with 50 positive reviews – prices are about the same. You’re more likely to click on the page with the positive reviews to read feedback from other customers who have bought those socks in the past as it’s validation the item is popular. This is an example of social proof and demonstrates why positive customer reviews should be leveraged to convert your site’s visitors into customers. You need good products and good service because you won’t get good reviews otherwise. It’s not like many people are intentionally putting out bad products and bad services. However, there are a lot of bad services and bad products out there. Some must be the intent of a sleazy business person, but still some are the results of mismanagement. Nonetheless, no one is leaving a positive if they experience a bad product or bad service. Sometimes it’s helpful to audit your offering. Are you putting out the best products and customer service you can? When was the last time you reviewed with staff how to act with upset customers? What about how to act with happy customers? All of these questions are relevant to your online reputation management; your staff is your real-world reputation management, and real-world customers are the one’s leaving digital reviews. Where do most customers leave reviews? Once you are confident in your great service and products, we can look into generating more positive customer reviews. If you are selling anything online, you already have an edge in this category. Brick and mortar stores don’t have the ability to always get the customer’s email – they can ask nicely, but it’s often easier online because providing an email is part of the ecommerce process. A great way to develop positive reviews is to send follow-up emails post-purchase to ask for one. Being honest with your intent also leads to higher conversions at this stage, because people respond well to honesty. Google, and review sites like Amazon, Yelp and others along with social media are the main areas people will leave reviews. Why? Because it’s the easiest to do so. When asking for reviews, you want to ensure the customer has to do as little as possible. If you sent an email to a hundred customers, asking for a review and there was 15 clicks necessary to leave a review, you might not even get any. However, if it only took 3 clicks from the customer, you would receive many more reviews. It’s important to be clear what you’re asking for and make it simple for the customer. A good way to do this is to add a link to your follow-up email. How do I best leverage my positive reviews? Now that you have positive reviews, and a system to keep customers leaving them, we can look to how to leverage all these testimonials. It goes back to my first point – some people just don’t know if the product is worth the price, and online recommendations can show them that it is. There are a number of sophisticated systems that can allow you to leverage positive reviews, it’s only a matter of finding what works for you. You can optimize your Google My Business listing to present your yelp score; you can implement widgets on your site to present reviews directly to the customer; the list goes on. At the end of the day, if you are not working with your online community to make your business thrive, it’s likely a rival is already on their way to your piece of that pie. Online shopping and eCommerce is a very competitive market, and we can help if you need. In this post I have covered how to develop and leverage positive customer feedback. 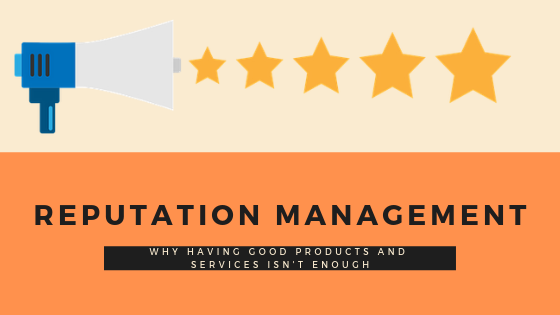 If you would like to read more about what we have to say about Online Reputation Management (ORM), and how to deal with negative reviews, you can here. If you are interested in generating and leveraging positive online reviews for you business, but don’t know where to start, you can contact me at [email protected].